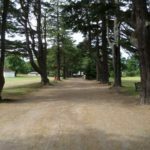 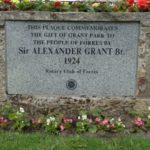 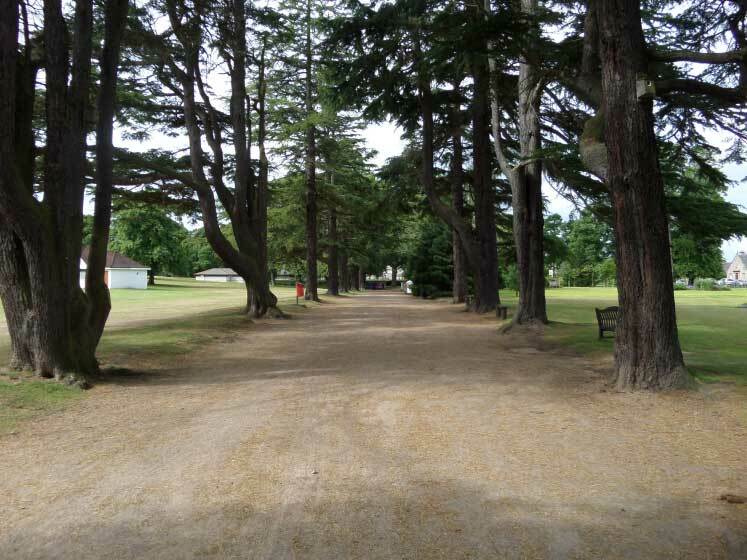 Lying on the east side of Forres High Street, Grant Park and was gifted to the town by Sir Alexander Grant when he purchased Forres House and ground for the people of Forres. 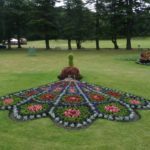 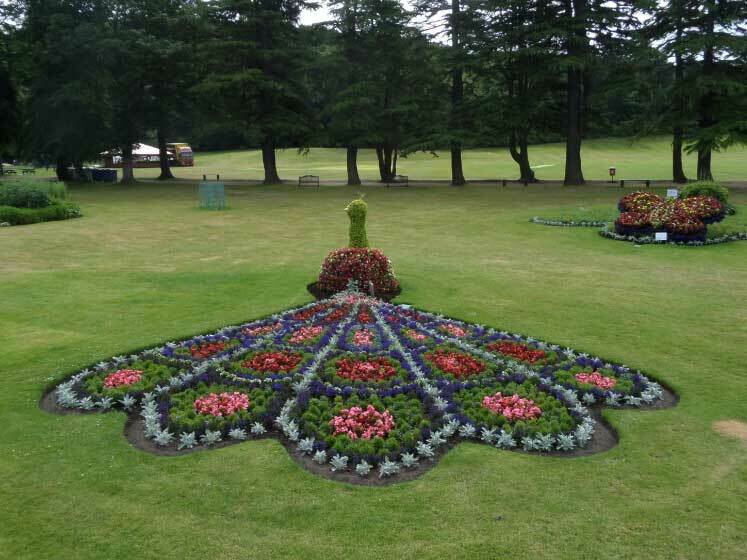 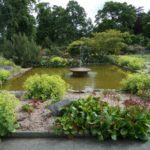 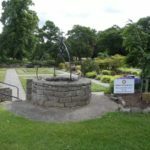 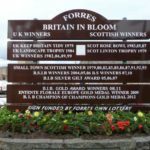 The park contains traditional gardens and the floral sculptures which form the centrepiece for the Forres entries in the “Britain and Scotland in Bloom” competitions. 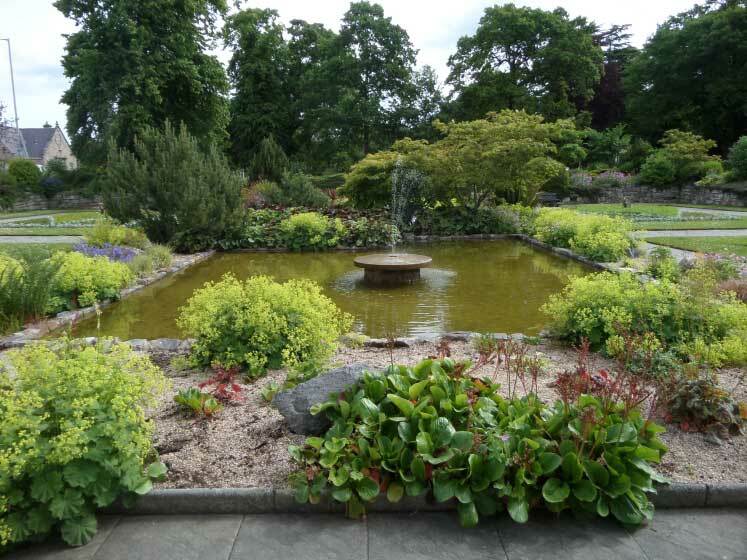 The sunken garden was created on the site of Forres House which was destroyed by fire in 1970. 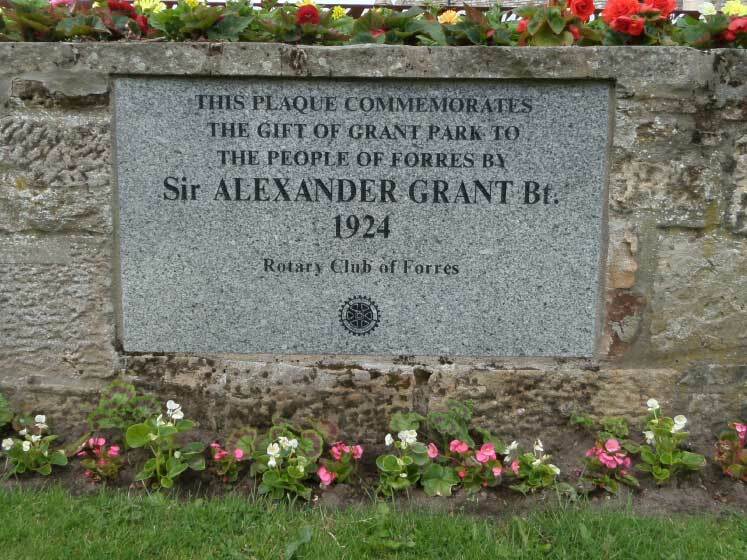 Alexander Grant was the son of a guard on the Highland Railway. 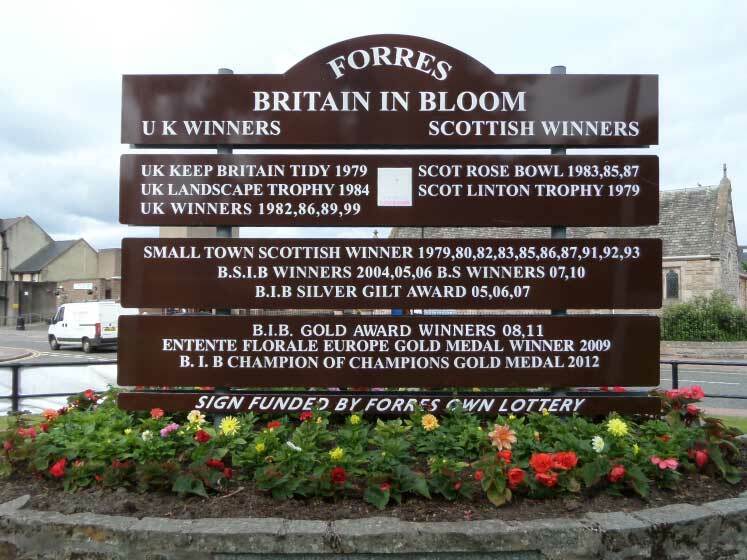 He was born and educated in Forres. 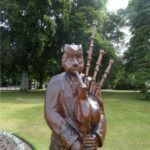 Apprenticed to a local baker he progressed to Edinburgh where he worked for Robert McVitie eventually becoming Chairman of the biscuit business. 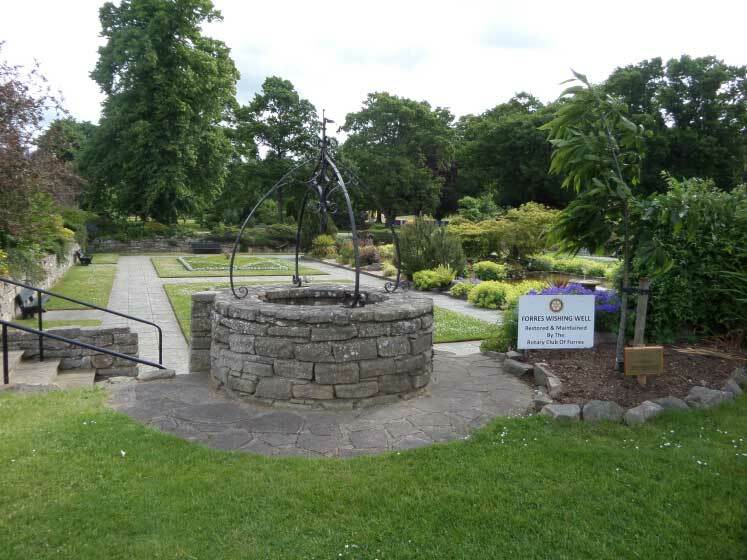 He developed the Digestive Biscuit and opened factories in Edinburgh, London and Manchester. 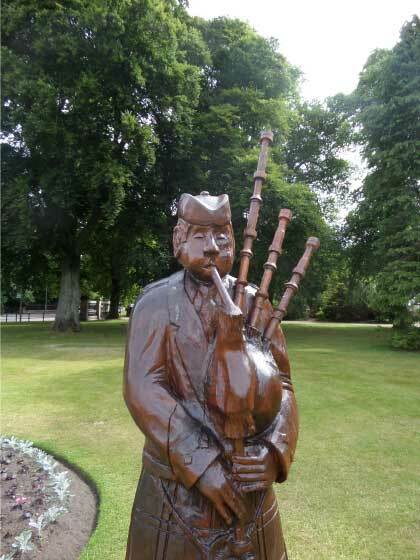 He became a wealthy man and a generous benefactor and was instrumental in setting up the National Library of Scotland.